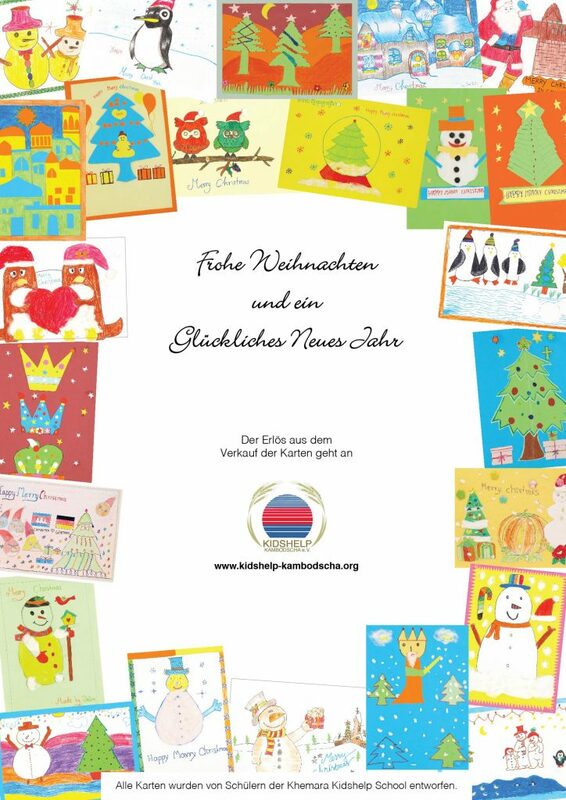 Christmas greetings from Cambodia – Kidshelp Kambodscha e.V. 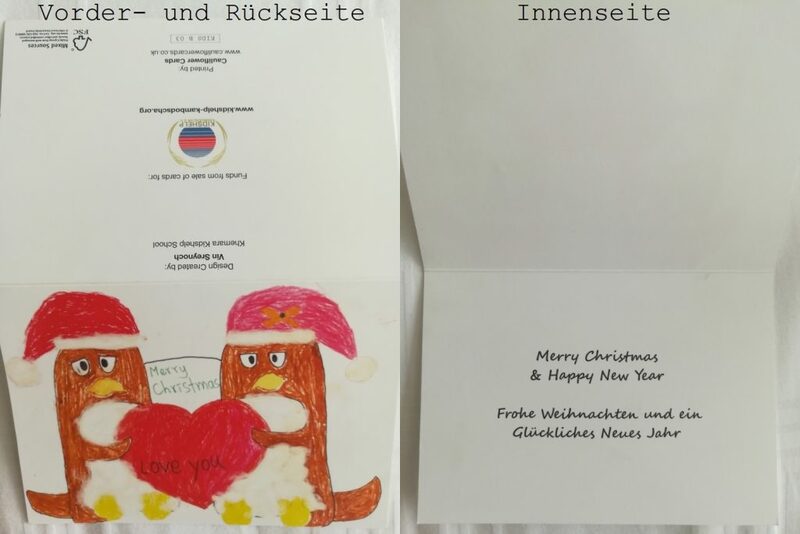 One of our active supporters approached us at the beginning of this year and told us that many charities generate additional funds for their projects by selling greeting cards. They proposed that Kidshelp do the same. As the children at the school appreciate taking part in extra-curricular activities, one evening in April, we invited several of our classes to set aside their exercise books and to be creative. Two of our volunteers prepared art materials and a few ideas and the children were then allowed to draw whatever came to mind to reflect the Christmas theme. The response was overwhelming and we received so many good designs that we ended up creating two different sets of cards. 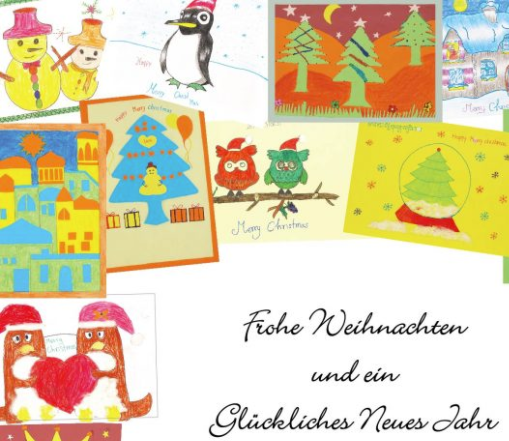 Each set contains 12 cards with different motifs chosen from the designs you can see on the poster on the next page. Each card includes the name of the artist(s) and comes with matching envelopes. If you order 5 packs or more we will charge €10 per pack and Kidshelp will cover the cost for post and package. Cards collected from Nanette will also only cost €10 per set. All profits will be used for our projects in Cambodia!